The end of Mental Health Awareness Week is just the beginning. October 10th is World Mental Health Day. It is a day for global mental health education, awareness and advocacy. 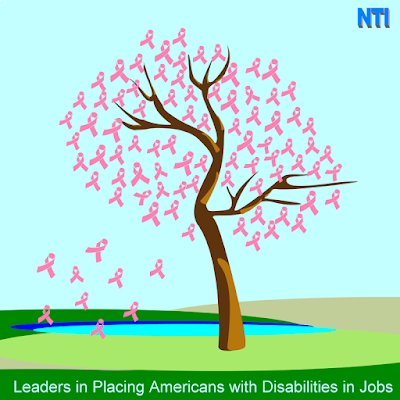 NTI supports Mental Health Awareness and proudly employs and helps those who need mental health support through employment with Fortune 500 companies. If you would like to be considered for a future positions. 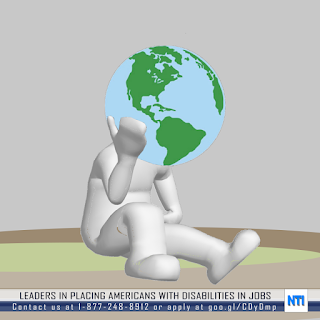 Please visit us at nticentral.org and apply. We are hiring now for the Fall season and upcoming holidays! 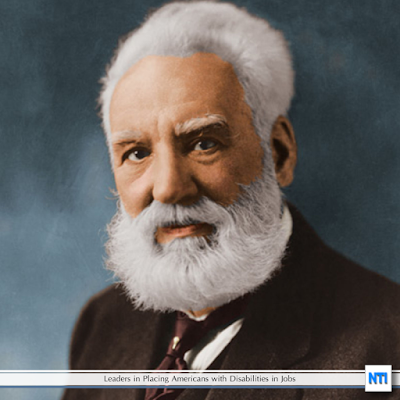 Alexander Bell paved the way for communications to be established across the world. On October 9th, 1876, he demonstrated the first two-way telephone conversation. 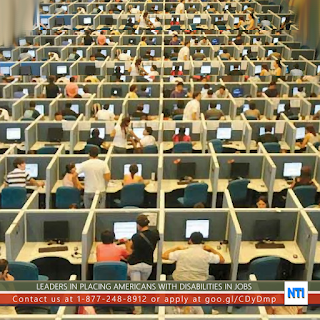 This eventually led to the evolved technology that fuels our call centers for organizations such as Amazon, Apple, IRS, and Sykes which help Americans with Disabilities in exclusive jobs. If you know of anyone in your inner circle who can use this type of help, feel free to have them apply to a position at NTICentral.org. Depression is one of the most common and treatable disorders, yet millions of people suffer from depression and never seek help. During Mental Health Awareness Week, we are supporting the 25th Anniversary of National Depression Screening Day. NTICentral.org employs Americans with Disabilities, such as depression, into jobs. 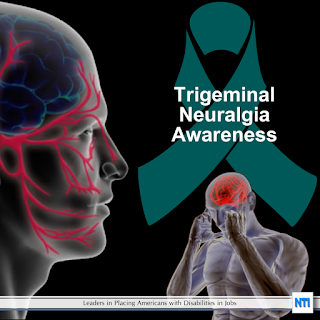 If you know of anyone in your inner circle who can use this type of help, feel free to have them apply to a position at NTICentral.org. At the FutureM conference 2015, I had the chance to listen to the story of keynote speaker and founder of Not Impossible Labs, Mick Ebeling, who took the impossible journey to help Americans with Disabilities make a better life for themselves and leverage the technology around them to do the things they once did. Mick has been honored by Advertising Age as one of the “Top 50 Most Creative People” in 2014 and was the recipient of the Muhammad Ali Humanitarian of the Year Award in 2014. In 2010, TIME magazine called his Eyewriter invention one of the “50 Best Inventions of 2010,” and now the device exists as part of the permanent collection of New York’s Museum of Modern Art (MoMA). Nick spoke about his journeys developing the Eyewriter with a group of developers who wanted to help an artist known as Tempt One, who was suffering from ALS create artwork once again after losing full mobility. Watch the video on the success Mick had with Tempt having an artist create after 7 years! 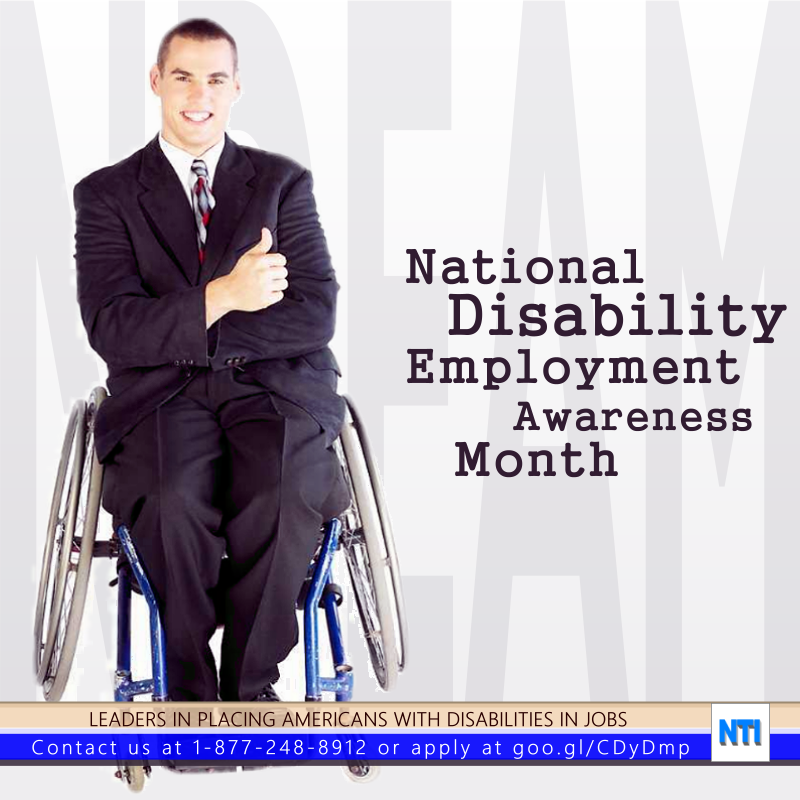 NTI would love to help out Americans with Disabilities overcome their adversities similar to what Mick has been doing. During his book signing, I put Mick on the spot and challenged him to join our hacker effort. We left it as we would talk more about the subject after the conference and am hopeful we can work it out as I would love to create good things for good people. If you would like to be a part of the solution or help out, let me know by reaching out. large amount of hearing impaired pupils and his first class was 30 students. His most famous student was Helen Keller. As a child, she was unable to see, hear, or speak. Keller stated that Bell dedicated his life to the penetration of that "inhuman silence which separates and estranges." In 1893, Keller performed the sod-breaking ceremony for the construction of the new Bell's new Volta Bureau. The Volta Bureau was dedicated to "the increase and diffusion of knowledge relating to the deaf." On this date back in 1889, Thomas Edison made the first American motion picture using concepts from the phonograph. We've come quite a way in film technology over the past 100+ years. 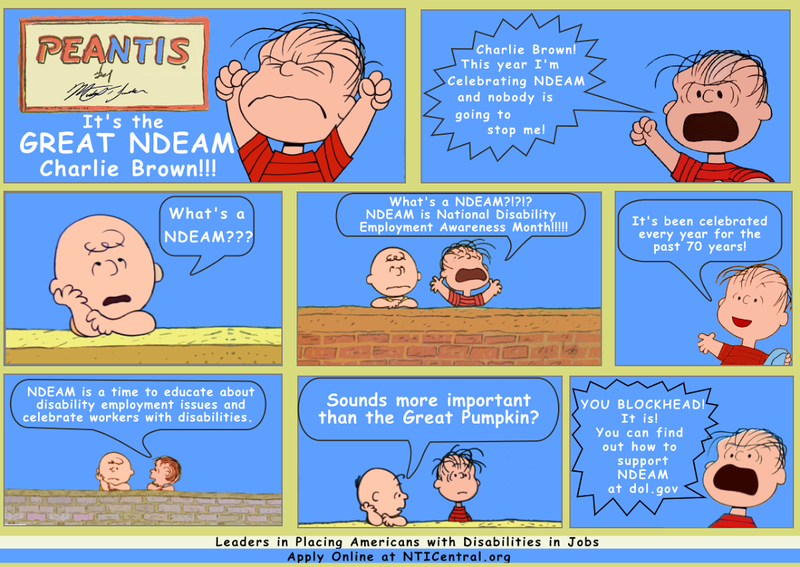 We've also come a long way in raising awareness about disability employment issues and celebrating the many and varied contributions of America's workers with disabilities. 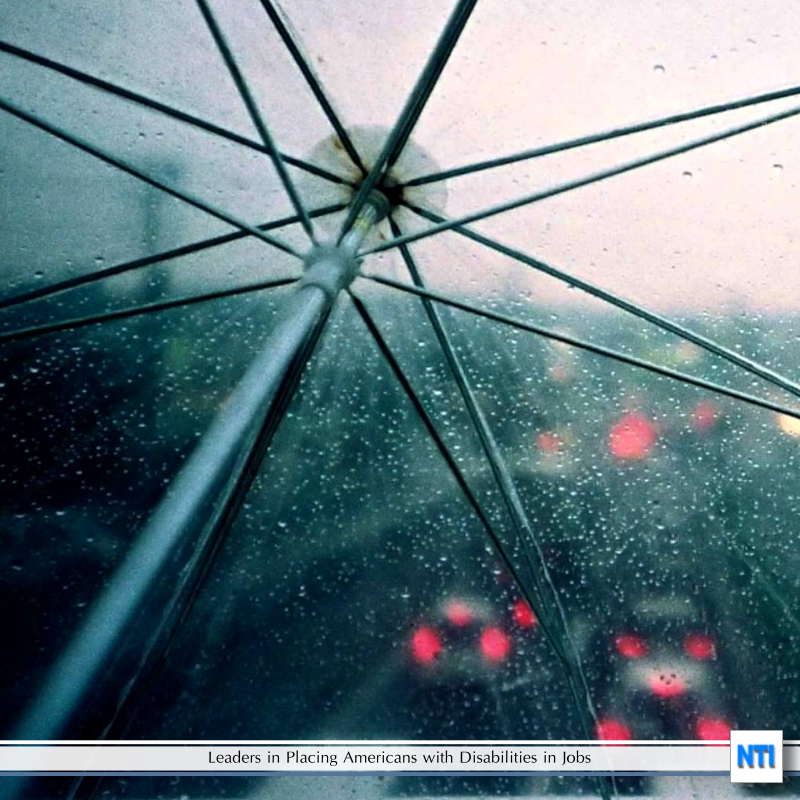 The following “Who I Am” film features nine real people with disabilities. Rather than be defined by disability, these individuals are the sum of their many life roles — which includes working in jobs they love. Watch the film and learn more. What were your first thoughts when you saw this PSA? How do you think it benefits employers to have people with different attributes/identities working for them? 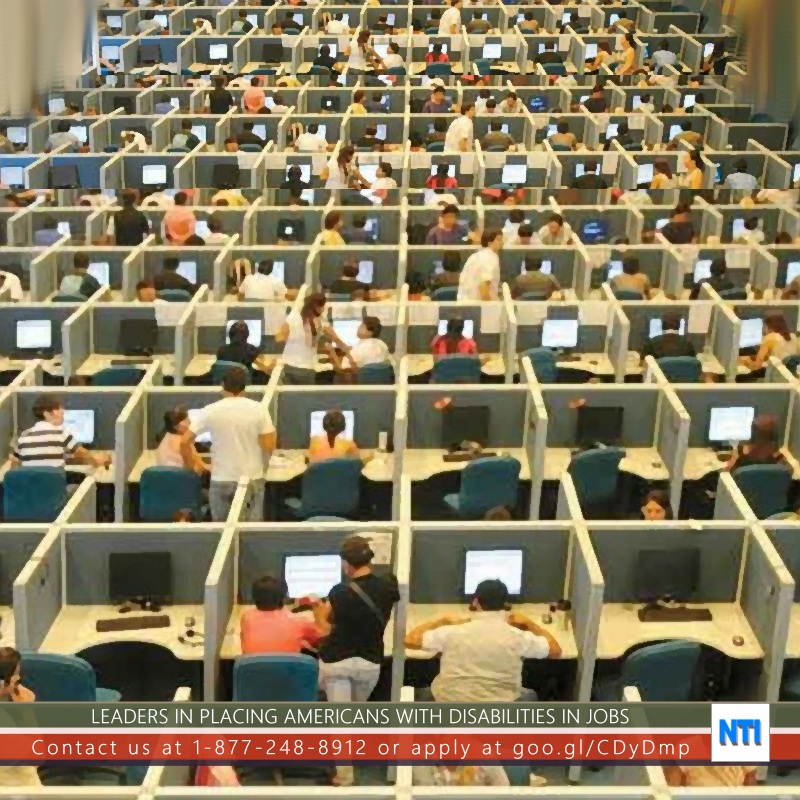 To learn more about the Campaign for Disability Employment, go to whatcanyoudocampaign.org. Today is the birthday of the Peanuts cartoon! Peanuts is a syndicated daily and Sunday American comic strip written and illustrated by Charles Schulz. It ran from October 2, 1950 to February 13, 2000. The cartoon is one of the most popular and influential in the history of comic strips, with 17,897 strips published. At its pinnacle, Peanuts ran in over 2,600 newspapers over 75 countries and was translated into 21 languages. 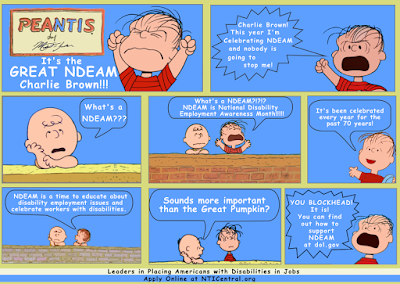 We thought we would put our own spin on Peanuts to promote #NDEAM. Enjoy! 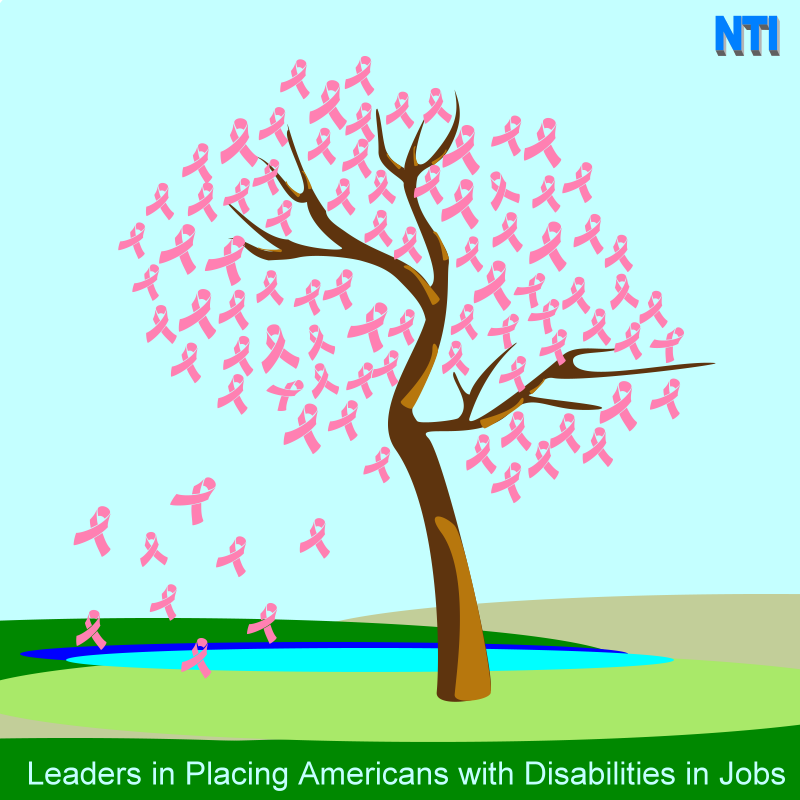 Not only is October designated as National Disability Employment Awareness Month, but it is also Breast Cancer Awareness Month. You can make a difference in the fight against cancer by volunteering your time, participating in an event, or donating to the cause. Find out about all the ways you can get involved today. cancer.org.